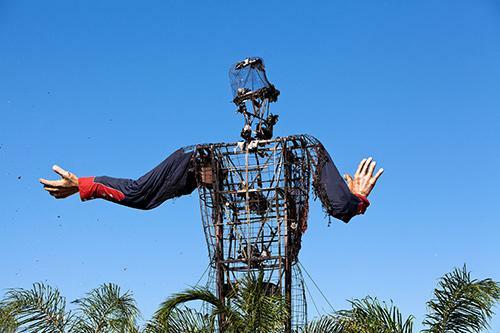 Big Tex is coming back to us in pieces. But that's how it's always been, right? There's a huge amount of work to be done before the new Big Tex debuts September 27 , 2013. But a 3-D animated plan for the icon's new hands makes the prospect of his reappearance seem more real. Howdy, Folks. Got Some Money For Big Tex? 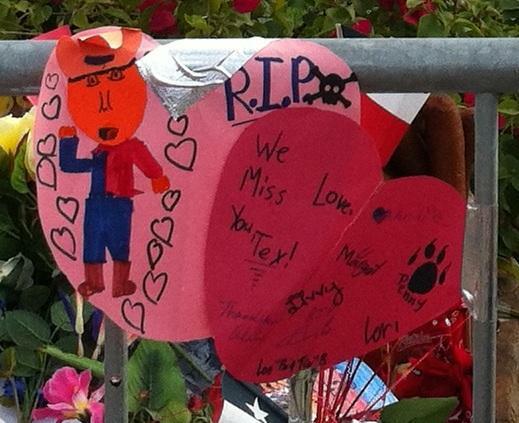 The State Fair has set up a donation page online for Big Tex's repair. Five stories North Texas is talking about: Memorializing Big Tex, early voting, free beer for the creative class and more. It looked like a funeral procession, as the charred and wrapped metal skeleton of Big Tex was escorted out of Fair Park by motorcycle police. Earlier Friday morning, the State Fair icon had gone up in flames.